A member's interest in a Mineral & Gem Society can vary greatly. 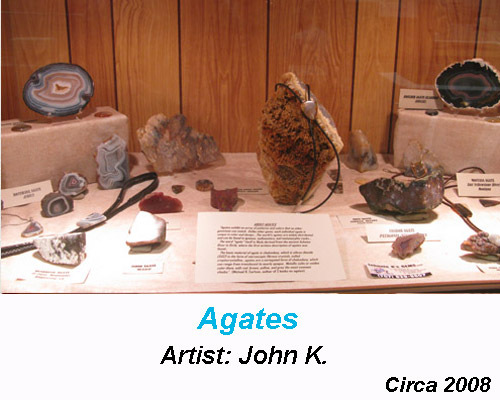 Display cases allow member's to share their specific interest, the art of lapidary, or educate other's about their passions. Press Start & Enjoy the Show.